NQA Quilt Show Wants More Modern Quilts – Enter Yours Today! I’m super excited to be working with the National Quilting Association to not only spread the love of quilting, but to educate more people about modern quilts, too! 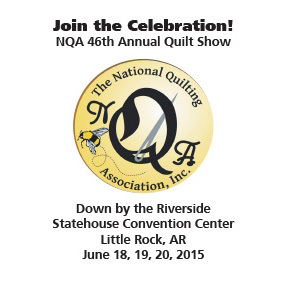 The NQA Annual Quilt Show is coming up in June and it’s going to include a fabulous judged show of around 400 quilts. The exciting thing is that it’s a non-juried show, which means that everyone gets in on a first-come first served basis. The even more exciting thing is that they will be offering cash prizes for Best of Show, Special Awards, and First Place in each category. This is only the second time that NQA is has included a modern category in their mix, and I know they would love to see that genre well represented. I’m excited for the workshops I’ll be teaching (details here) and I would love to see quilts hanging in the show made by people I know – in any category! 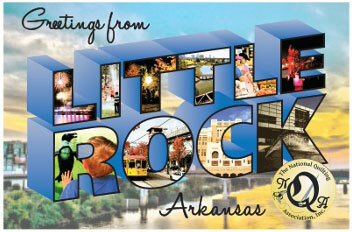 Click here for online quilt show entry. The deadline for entry is April 1, 2015. Hey Christa – whats the general feel on quilts that are washed in a quilt show? I am thinking of entering something but I did just wash one. Wow, how exciting. I will consider if there is something I could enter. Love hearing about your quiliting world. I will check it out and make sure I enter a quilt for sure.